Recent books have raised the public consciousness about the dangers of global warming and climate change. This book is intended to convey the message that there is a solution. The solution is the rapid development of hydrogen fusion energy. This energy source is inexhaustible and, although achieving fusion energy is difficult, the progress made in the past two decades has been remarkable. The physics issues are now understood well enough that serious engineering can begin.The book starts with a summary of climate change and energy sources, trying to give a concise, clear, impartial picture of the facts, separate from conjecture and sensationalism. Controlled fusion -- the difficult problems and ingenious solutions -- is then explained using many new concepts.The bottom line -- what has yet to be done, how long it will take, and how much it will cost -- may surprise you. 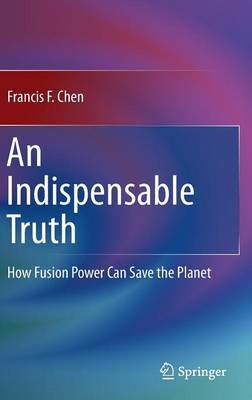 Francis F. Chen's career in plasma has extended over five decades. His textbook Introduction to Plasma Physics has been used worldwide continuously since 1974. He is the only physicist who has published significantly in both experiment and theory and on both magnetic fusion and laser fusion. As an outdoorsman and runner, he is deeply concerned about the environment. Currently he enjoys bird photography and is a member of the Audubon Society.